NO CHARGES WILL be brought in relation to the death of a 16-year-old who died after he was stabbed in the chest. Reece Cullen of Bawnlea Crescent, Tallaght, Dublin 24 died on 5 January 2017 following the stabbing incident at Kilclare Crescent, not far from his home. The Director of Public Prosecutions (DPP) found insufficient evidence to prosecute in this case, Detective Inspector John Walshe of Tallaght Garda Station told Dublin Coroner’s Court. At a short inquest hearing at Dublin Coroner’s Court, DI Walshe requested a date for a full hearing into Cullen’s death. “An investigation file was submitted and the DPP found insufficient evidence to prosecute,” DI Walshe told Coroner Dr Myra Cullinane. “We have spoken to the family and they are aware that a hearing date is being sought today,” DI Walshe said. Reece Cullen, known locally as a talented boxer, was rushed to Tallaght Hospital following the stabbing at Kilclare Crescent, a cul-de-sac near his home. Medics battled to save his life but all efforts failed and he was pronounced dead in hospital by Dr Jean O’Sullivan. He was formally identified by his grandmother Ann Cullen at the emergency department at Tallaght Hospital. The young man had lost his mother Ann Marie Cullen just months previously following her death in September 2016. A post-mortem conducted by Deputy State Pathologist Dr Linda Mulligan gave the cause of death as a stab wound to the chest. The cul-de-sac where he was stabbed was sealed off for forensic examination following the fatal incident and a full Garda investigation was launched. The investigation continued for a number of months and a file was submitted to the DPP. Coroner Dr Myra Cullinane adjourned the inquest for a full hearing to scheduled to take place on 22 May 2019. Email “No charges to be brought over fatal stabbing of teenager Reece Cullen”. 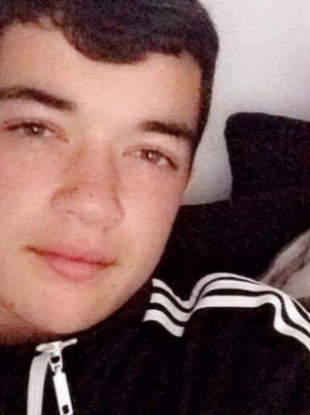 Feedback on “No charges to be brought over fatal stabbing of teenager Reece Cullen”.